Greetings from the State of Massachusetts! As I write this, I am just in the early days of serving this organization as the National Junior Director. In the months ahead, I look forward to meeting Junior grangers from across the country at the Regional Youth Conferences. I want to share a little bit about myself. I had the privilege of growing up in a grange family. My dad being the Past Master of the Massachusetts State Grange, Northborough Grange and Borough Pomona and a member of the Assembly of Demeter, and my mom being a Past Junior Grange Superintendant/ Junior Director, Past Master of Northborough Grange and Borough Pomona, member of the Assembly of Demeter. Both my brother and sister being Past Masters of Northborough and Upton Junior Grange. In Grange, I joined in 1964 at the age of 4 ½ years old holding my first offices as Flag Bearer. I am a member now of Uxbridge Grange # 200, but grew up in Northborough Grange and Borough Pomona both granges in Massachusetts. I am a Past Master of Northborough Junior Grange # 93, and held many offices within Northborough Grange and now serve as Lecturer of Uxbridge grange and Lady Assistant Steward in Worcester-Norfolk Pomona # 10. 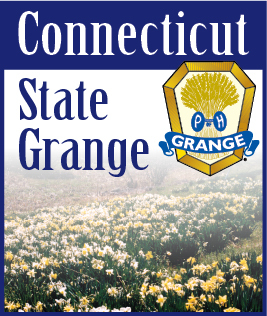 I was appointed in 1982 as a Junior Deputy under Past National Master Brother Robert Barrows, and in 1997 as Co – Director of the Massachusetts State Grange Junior Committee by Past Master Kathleen Peterson. In 2005 I was appointed to the Youth Committee by our present Master Calvin C Chase Jr. and in 2009 was appointed as Co-Director along with my son Christopher to the Youth Committee by the same. I have a loving husband, Robert, and two sons Christopher & Michael, who live in Northbridge, MA. Looking forward, I am a firm believer in our Junior and Youth programs. As outlined by our National Master Ed Luttrell, the Junior & Youth are and will continue to be a vital part of our organization. The Grange offers a unique opportunity to our youth. We must work together to capitalize on our strengths in order to prepare the youth and young adults to become advocates for our communities and rural America. It has been said and I am a true believer of this that the Juniors are our hope of tomorrow, without them we will have no Youth. Grange is truly a special organization. It is the one organization that is truly designed for the betterment of the entire family.